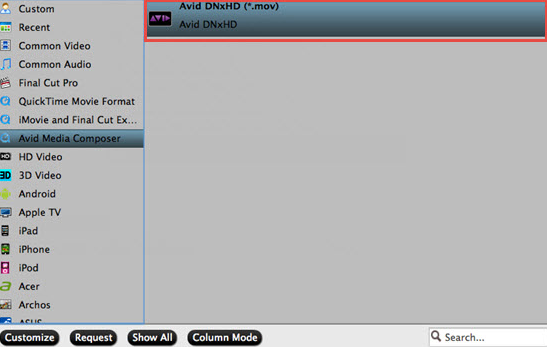 Home » MP4 is Not Recognized by Davinci Resolve, Solved! I just downloaded the free edition of Davinci Resolve 12.5 I've recorded a couple videos and I am able to view each one of them individually on windows movie maker, however, when I try to insert them to Davinci Resolve, the the mp4 files do no appear. There is also and issue that comes up everytime I boot up Davinci Resolve, a window with "Quick Time Decoder initialization failed". Is this the reason that I cannot see my mp4 files? I'd appreciate any help y'all can offer. Resolve 12.3 what an awesome product!!! Love it. Footage H264, AAC, 30FPS, 6 audio channels. I have no sound. Audio shows just one channel but nothing in the file. Thought 12.3 supports MP4. Do I miss a codec? Can I install one? I run the Software on iMac 10.11.3 1024 MB, 12 GB ATI HD. Why Davinci Resolve fail to load MP4 video? However, as for Davinci Resolve supported file formats, you may find it only support to load files with the format of DPX, CIN, EXR, QuickTime, ProRes, DNxHD, XAVC and MXF. If the MP4 files are encoded with other incompatible video or audio codec, you will definitely fail to import MP4 files to Davinci Resolve. To get all all MP4 files work with Davinci Resolve, you will need to perform a video codec transcoding process. 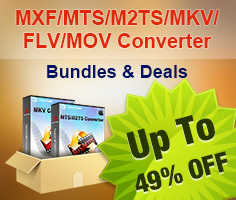 Here, a professional solution called Pavtube HD Video Converter for Mac (support Mac OS X El Captian) is highly recommended to you, with this simple to use application, you can easily and efficiently transcode unsupported MP4 files encoded with all the codec listed above to Davinci Resolve favorable QuickTime, Prores or DNxHD codec for fast and smooth post video editing workflow. Have various unsupported media types such as AVI, WMV, MOV, AVCHD MTS, XAVC S, etc to load into Davinci Resolve for editing, never mind, the enhanced media compatibility of our program make it is pretty easy to complete all those incompatible file to Davinci Resolve with just one click. Start the program on your Mac computer, click "File" > "Add Video/Audio" or "Add from folder" to load MP4 video files into the program. Step 3: Edit video. (Optional). Before loading your video into Davinci Resolve for professional video editing, you can complete some basic video editing task with the program's built-in video editing function. Check an item to active the "Video Editor" function, then click the pencil like icon on the top tool bar to open the "Video Editor" window, you can trim video length, crop video black bars, add watermark, apply sepcial rendering effect, remove/replace audio in video, etc. After all the settings are done, click right-bottom "Convert" button to begin the conversion from MP4 video files to Davinci Resolve DNxHD conversion process. 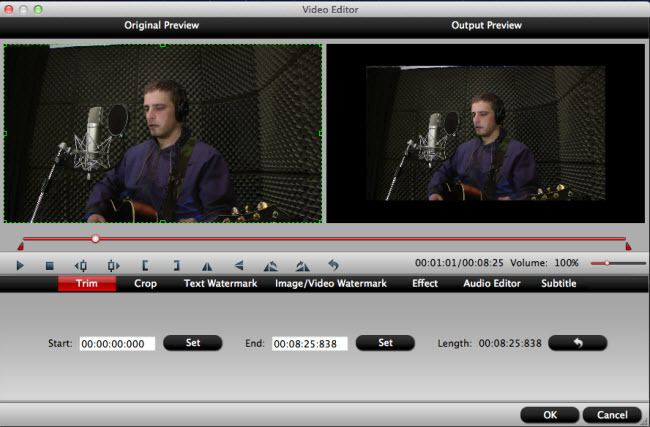 Then you will have no problem to import any video into Resolve for fast and smooth post video editing.